It seems like I’ve made way too many trips to the grocery store this week. On one of my last visits, I picked up two pieces of fruit that I’d never had before (or at least can’t remember having). the fruit of Averrhoa carambola, a species of tree native to Indonesia, India and Sri Lanka. The tree and its fruit are popular throughout Southeast Asia, the South Pacific and parts of East Asia. The tree is also cultivated throughout the tropics, such as in Colombia, Trinidad, Guyana, Dominican Republic and Brazil, and, in the United States, in south Florida and Hawaii. A seedless variety of the Fuyu persimmon that was first grown in Israel and now is being raised throughout the world. Persimmons are very similar to a tomato, requiring that they ripen to become less firm, more pulpy and soft. 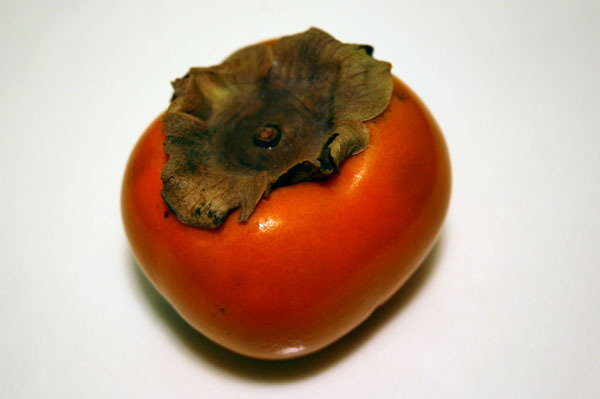 Further, the persimmon can taste very sour especially when not ripe, and the skin is inedable. 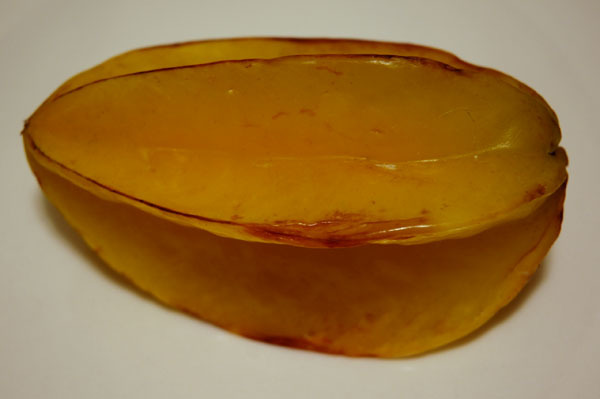 The Sharon fruit, unlike the Hachiya persimmon, can be eaten while firm, the outer skin does not need to be peeled and discarded, there are no seeds in the crisp flesh, and it is less astringent or sour tasting than the Hachiya. This fruit can be added to salads, much like tomatoes, or used to complement other vegetable dishes. Sharon fruit can be found at certain times of the year in some markets, depending upon growing seasons and availability to food distributors in world markets. When selecting, look for smooth, brightly colored, shiny skins and select those that are plump and firm, not too soft or mushy. The Sharon should be quite firm to the touch. Unripe fruit can be stored at room temperature to further ripen. Ripe fruit can be stored in the refrigerator for up to three days. Also referred to as kaki fruit.